The Yarra Valley holds a very special place in the hearts of people who love winery tours. The valley is located around the Yarra River in Victoria, Australia. Access to the Yarra Valley is possible through Melbah Highway, Warburton Highway, and Maroondah Highway. 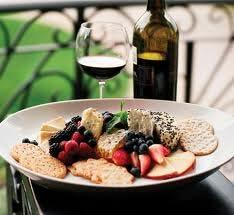 Travelers desiring to travel for group winery tours in Melbourne are able to do so by booking with Sky Vans. The Yarra Valley is famous not only for its wines, but also for the quality of food at the hotels and restaurants in which Sky Vans will take you to. We have a reputation for organising the best tours in addition of the Yarra Valley can enjoy and our flexible schedules mean that travelers can be picked up from wherever they are, and be taken to any place they desire efficiently and professionally. Safety and comfort is hallmark of all the tours offered Sky Vans and we are very serious about our winebus winery tours. Be sure to check out some of the locations below for our tours. 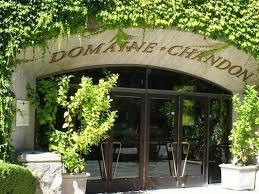 When the weather is warmer, Domaine Chandon is a very nice place to visit by individuals from all over the world. The region is host to a number of excellent wineries that form part of the wider Yarra Valley winery collection. The fact that it lies only 50km from Melbourne is an added advantage, especially for those interested in booking our Domaine Chandon winery tour to experience not only the fine drinks, but also the ferny gullies and beautiful wildlife. Rochford was once home to several impressive religious and public buildings, which have either been demolished or removed and no longer in existence. Despite all that, Rochford Wineries remain very popular with both domestic and international travelers. They are open every day of the week, from 9am to 5pm daily. The region is home to several restaurants that provide tasty Australian cuisines to make your trip to Rochford a memorable experience. Yering Station has the distinction of being the location for the first vineyard to be grown in Victoria, Australia. The rich history of Yering Station goes back to the 1838 when Ryrie brothers from Scotland, not only settled in the area, but also planted the first ever vineyard in that region. Yering Station winery tours are one of the post popular tours that Sky Vans offer. Yering Station has a wide range of facilities such as coach parking, shaded areas, children activities, and catering services. It is worth mentioning that Yering Station was inducted into the Hall of Fame of Victorian Tourism Awards in 2005. 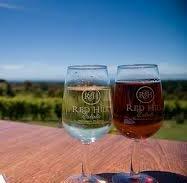 The Mornington Peninsula winery tour is only an hour from the Melbourne CBD. The Peninsula has a number of factors that make the production of Shiraz and Chardonnay a success and these include temperate climate and fertile soil. Wineries in Mornington Peninsula open their doors to visitors of all age groups and provide the perfect atmosphere for visitors hoping to learn more about the quality and types of local wines. Apart from sampling the beautiful wine and the local wineries you can spend time being pampered at the spa’s visit the beach whilst touring the famous seaside villages and eat at award-winning restaurants. At Sky Vans, we ensure that this is made possible through our amazing tours. Redhill has a rich history in terms of being home to several buildings built in the nineteenth century, and are still standing. Some of the notable places in this amazing place include Boxford and Calthorpes’ House. Sky Vans has spent a lot of time organising the best Redhill winery tours for years. We have served domestic and international visitors to Redhill and the Mornington Peninsula region, who wish to see what the area has to offer in terms of wines. Other activities that visitors can get involved in while enjoying the tours include horseback rides and spas. 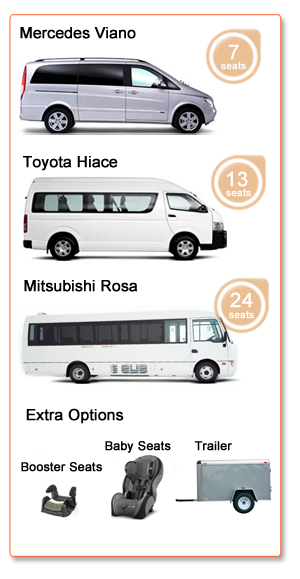 If you are interested in any of these tours call us on 0412 619 802 or contact us today!